Every entrepreneur has one thing in common. When choosing a career, we are often told to forego our passions and focus on practical pursuits. To most people, mixing a financially stable career and one’s love for, say, music, arts, or sports is like gunning at stars and will lead you nowhere. While there are many examples out there that disprove this, what is less apparent to people is that the disciplines and sacrifices one puts in a passion and in business are often the same. To the sports fans out there, you may have encountered the name Paul Halme in various MMA circuits already — a world champion in Brazilian Jiu-Jitsu with a plethora of titles under his belt, and a third-degree black belt status among many others. Having trained and competed professionally since 1997, Paul Halme has built quite a name for himself in the Mixed Martial Arts world, garnering one of the most successful careers in Brazilian Jiu-Jitsu all the way from competing professionally to now training and coaching new and up and coming fighters. 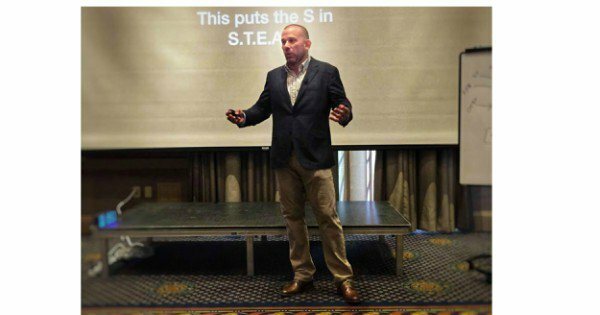 While this is how MMA fans may know him, on a distant part of the spectrum, Paul Halme has also found success as a serial entrepreneur and as a speaker. He went from being a stock broker for a major Wall Street Firm, to running a very successful MMA gym for the last 15 years, and now to being a best selling author, speaker, and business consultant. You might ask how somebody can turn out to be so successful in such different careers and passions? The secret, it appears, lies right under your nose. As with all pursuits, focus is something essential to anyone who wants to claim success and victory over a chosen field. In Mixed Martial Arts, fighters have to train six hours a day, five to six days a week before a match. Focus is something that takes away a lot of your time and a lot of your energy, but it is deemed to be a necessary investment if you really want to be great at what you’re doing. In business, great businesses thrive on great planning, great ideas, and a great amount of commitment. People like Paul are successful in both of these precisely because he is adept to staying in focus and setting his eyes on a specific goal. Remember that both mixed martial arts and business operate on a formula circling on three important components: a goal, an obstacle, and a plan. Once you set your heart on a goal, you have to recognize your obstacle and then build a plan around it. In order for you to do this, you have to be focused and you have to stay focused. Every victory entails sacrifices. For a lot of MMA fighters, training means diet restrictions, adequate sleep, a lot of working out, and a lot of strategizing. To do these things, one has to forego common pleasures that one is likely to indulge in on any regular day. Discipline is important for MMA fighters because it operates on control and assertiveness. If you want to assert control over something, whether inside the ring or out, you have to have discipline. What makes discipline such an important factor in every successful business is that it lends itself to a more principled approach as opposed to sports. Say, if MMA fighters have to restrict their diet, businessmen have to restrict themselves from indulging in business decisions that are unnecessary and may even be detrimental to their business, especially when it’s bound to incur costs. Businessmen who are disciplined know how to take risks, but they also know when these risks are just gimmicky costs that won’t have any real value to your company. As the saying goes, “no man is an island”. No successful athlete or businessman got far by working alone. In sports, you have to surround yourself with the right team of trainers, the right people to spar with, the right people to strategize with — really, the list goes on. This is important because no matter how much we think we know, we are bound to miss out on something important and it’s always nice to have a different guiding lens to take a look at things. Operating on the same principles, every good business needs a good team of people. The bigger you scale, the more good people you will need. Remember that businesses work best when they are collaborative, which means, you should not think of yourself as a boss with people working under you. Instead, think of yourself more as a team player where you carry the flag of the fleet, always working together and always working towards a unified goal. Now, this piece may or may not convince you to take up martial arts right away. But it’s worth noting the core principles that translate to aligned pursuits. If you need a unique way to de-stress, get fit, and improve your mindset, now you know where to go. Ready to visit the MMA gym yet? She writes mostly about parenting, mental and emotional health, relationships, personal development, business, and marketing.